In episode 5, immediately after Eren misses his shot to the Colossal Titan and it reverts to human form, I looked from multiple angles but there were no humans. but they are not visible in the scene. 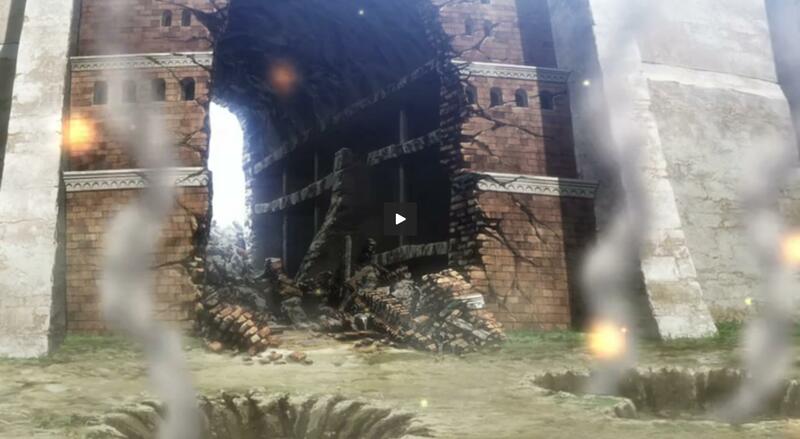 How were they able to escape in the time before Eren attached to the wall and looked down? As mentioned in @mirroroftruth's comment, an experienced Titan Shifter can easily morph between both their forms quickly, meaning it wouldn't be difficult for Bertolt to swiftly escape the body of his Colossal Titan. Additionally, if he already had 3D Maneuver Gear equipped (like Annie does in episodes 20/21 of the anime, mentioned in this question), escaping the area quickly would not have been an issue. Given the scenario of episode 5, it's highly unlikely that he didn't have this gear on his person. "...he possesses a powerful defense mechanism that involves him releasing large amounts of extremely hot and pressurized steam from his body. The steam has enough force to deflect any cables shot from the 3DMG and burn away or repel close-range fighters." With the disappearance of such a massive body, the amount of steam produced would create a very effective combination of a repellent and a makeshift smokescreen. This would have been ample for Bertolt to escape from the scene without being seen. 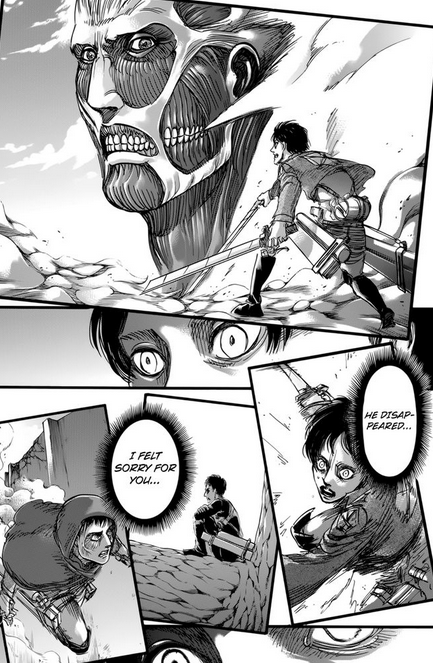 This is confirmed on page 22 of chapter 72 - in the bottom left panel, there is a picture of Bertolt escaping while near a damaged wall. His 3D Maneuver Gear is clearly visible and he's under the cover of steam. It is showed that Reiner climbed up the wall in his titan form while bringing Bertholdt and Annie. How hot would the Colossal Titan's temperature be?